This is a very small book, with just 128 pages, but crammed with information (using a small type font) and with many illustrations. 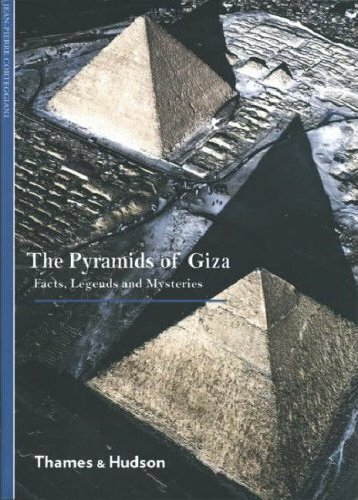 Books on the pyramids are all too common, but this volume provides a sensible overview of the Giza pyramids, the history of their exploration and the various theories and hypotheses that have grown up around them, and compares these theories with the realities and recent archaeological discoveries. The pyramids will continue to fascinate and it is interesting to read how ideas about them have changed over the centuries. I liked the long quote from Herodotus dating from the fifth century BC, and the comments made by Denon and Belzoni on their visits to the pyramids over two thousand years later. ISBN 978-0500301227. Paperback, price £6.95. This book is packed full of information with hundreds of photos. illustrating the various entries. 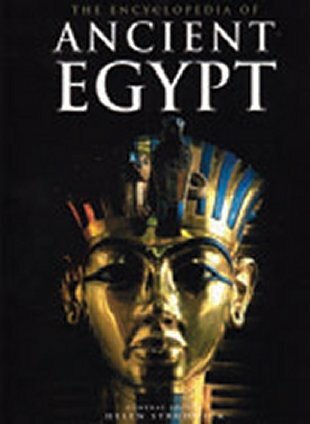 The book is divided into sections: on ‘History’ with a chronological looks at Egypt up until the reign of Cleopatra; on ‘Religion’ with entries on gods and religious festivals and events; on ‘Art’ looking at specific types of art, statues, jewels, etc., before going into more detail with many of the best known monuments from Egypt. ‘Everyday Life’ covers most aspects of this topic one would need to know about, and the final sections look at ‘Science and Technology’ and ‘Writing’. The way the contents of the book are structured does mean that the subjects do not always follow in a logical order (e.g. ‘Civil Servants’ following ‘Hygiene and Body Care’) if you read the book from cover to cover, but it is perhaps a book that is best dipped into from time to time. I particularly like the way that the picture captions are also used to inform and add information. This is particularly useful when complicated scenes are shown and the captions can point out detail such as jewellry, costume in general, inscriptions and other details that might otherwise not be explained. I notice that the book is copyright De Agostini UK Ltd; I think this may indicate that the various chapters were originally published as a ‘part work’ where each chapter was published on a weekly or monthly basis, and that this volume is effectively a complete bound set. There is a wealth of information here. 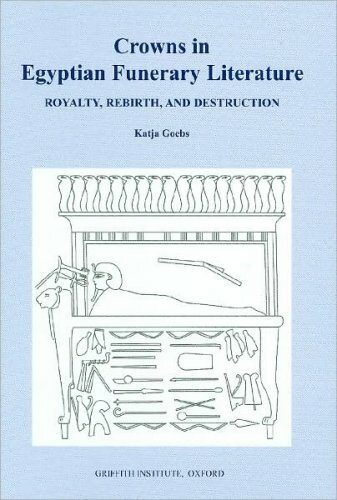 The book is well written and the information provided is good (though I did spot one error in a reconstruction painting of the temples of Thebes, where the Karnak Montu temple is labelled as the Mut temple, and vice versa; the West Bank mortuary temple of Sety I is shown, but not labelled at all. Having said this, the book is excellent value for money and if anyone is completely new to the subject, it is almost a ‘one book does all’ purchase. My main complaint, and one I seem to make regularly about books on Egypt, is that there is no bibliography to help readers find suitable further reading on the many subjects covered. Published by Amber Books, 2006. ISBN 978 1 904687 85 6. Paperback, price £25. Egypt is rich in early Christian churches and monasteries, many in remote locations, such as the Monastery of St. Paul by the Red Sea. These monasteries have a long and important history, have evolved and expanded over the centuries, and are architecturally important; many have at their very heart great works of devotional art painted upon their walls. The Monastery of St. Paul is no exception and contains some amazing paintings first created in the thirteenth century and again, in a Coptic renaissance, in the eighteenth century. The paintings had all suffered greatly over time but were considered so important that they were the subject of a major conservation programme by the American Research Center in Egypt, from 1997 to 2005. This large and beautifully illustrated volume is a record of this work and a history of the Monastery. The work was detailed and painstaking, cleaning and restoring the ancient paintings and bringing them back to life again. The text to accompany the illustrations gives much information about the cleaning and restoration process and one cannot but admire the dedication, skill and patience of those involved in the work. 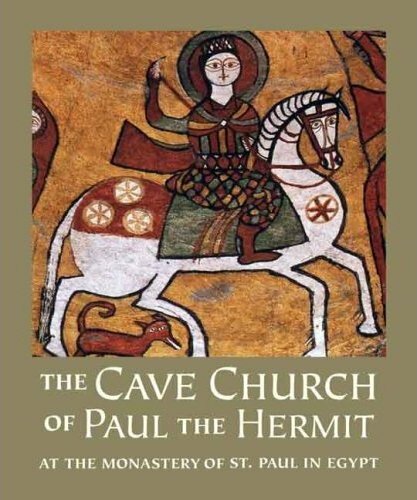 The authors also set the art and architecture in their historical context and look at the role of the Monastery of St Paul as part of the sacred geography of Egypt over the last two millennia. Few monasteries in Egypt have received such attention and been published as well. To read and enjoy the photographs in this book is almost as good as actually visiting this remote site, and may well inspire readers to make the journey to this sacred place and to some of the others in Egypt. Coptic history is an important part of the history of Egypt, and indeed of our own culture today. Published by Yale University Press, 2008. ISBN 978 0 300 11847 6. Hardback, price £45. All too often, Egypt is looked at in isolation, but for most if its long history the country interacted in various ways with its close neighbours. 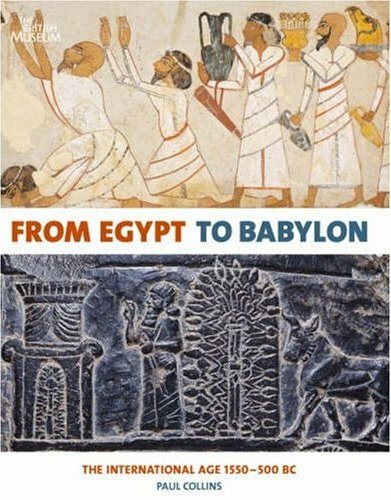 This book looks at the period from the New Kingdom onwards, where other emerging powers in the ancient Near East traded with and befriended Egypt as well as invading and plundering the country. The author looks at the political histories of the diverse societies in the area and explores their interconnections, which were to lead to the creation of the great Persian Empire. This book is well written and is superbly illustrated with objects, mostly drawn from the British Museum’s own collections. ISBN 978 0 7141 1983 0. Hardback, price £25. The many surviving mummy portraits from Roman Egypt are some of the most realistic and remarkable paintings to survive from Antiquity. The British Museum has an impressive collection of these portraits and this little book presents splendid illustrations and descriptions of thirty-eight of them. The notes to each portrait describe the clothing, hairstyles, and in the case of the female portraits, the often elaborate jewellery worn. 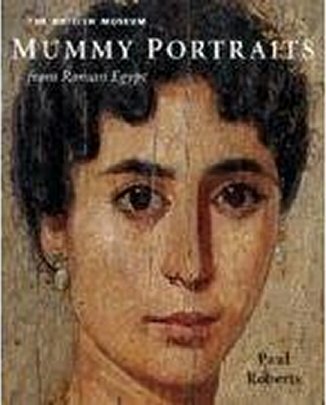 With a brief introduction to put the portraits into their historical and artistic context, this book is a splendid testament to the artists who created these unique portraits, bringing us closer to the men, women and children of Roman Egypt who lived two thousand years ago. ISBN 978 0 7141 5070 3. Hardback, price £9.99. ISBN 978 3 934628 94 6. Hardback, price 112 euros. This book may have a very plain and unexciting cover, but its contents are far from dull. Professor Alan Lloyd retired from his position as head of the Department of Classics and Ancient History at Swansea University a few years ago, and this book is a series of papers written by many eminent Egyptologists (his colleagues and previous students) in recognition of his achievements as a scholar and a great promoter of British Egyptology. The subjects covered are many and varied. They include Aidan Dodson writing on the story of an Egyptian sarcophagus re-used for a more modern burial, and Robert Morkot on the International Arms trade in the Late Bronze age. Written for the expert rather than the beginner, this book is well worth investigating further (www.ugarit-verlag.de). This is a small but very useful publication looking at the many and varied aspects of ancient Egypt under chapter headings of ‘People’, ‘State and Society’, ‘Religion and Science’, ‘Daily Life’, ‘The World of the Dead’, ‘Sites and Monuments’ and ‘The History of Egyptology’. 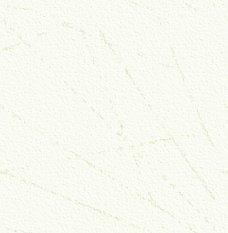 Full of good photos., maps, hieroglyphs (whenever an important royal name or deity appears) and plans, it has a huge amount of information packed into a small volume. I particularly like the way the illustrations are used. Often, full page ‘callout lines’ are used to indicate and explain points of interest in the image. This works extremely well and is much better than a long description embedded in the text. This is perhaps best explained with an example: the well-known statues of Rahotep and Nofret. The main caption explains where they were found (Meidum), where they are now (Egyptian Museum, Cairo) and their measurements and constituent materials. Callout lines describe in detail the appearance of Rahotep and his costume, and others do the same for the figure of Nofret. Another line makes comment about the fine inlaid eyes of the statues, and the last explains how, although there are two separate statues, they should be seen artistically and conceptually as a pair. This is, in my opinion an excellent, very usable, readable, and portable volume, excellent for anyone new to the subject, but one that will also be of real use to the enthusiast. I know I picked up many useful pieces of information from the text and in particular from the picture captions and callout lines. Get a copy of this book if you can. Published by University of California Press, 2007. ISBN 978 0 520 25648 4. Paperback, price £14.95. Whitestar have produced yet another of their large-format books, full of absolutely stunning photographs. This well-produced book also comes in a slip case. As with other Whitestar publications, many of the photographs will be familiar to readers as they appear in other Whitestar Egypt titles, but there are a number of new and equally impressive photos. 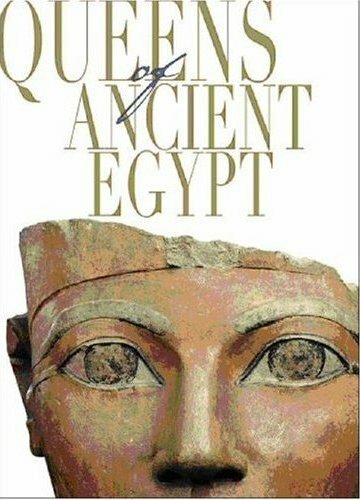 in this volume, on the subject of the Queens of Egypt. The book is divided into chapters on ‘Women, Queens and Goddesses’, ‘Women as Sovereigns’, ‘The Queens of Pharaonic Egypt’ and ‘Cleopatra and the Ptolemaic Queens’. The text is concise and well written, but it is the clear and often dramatic photos that speak volumes. Images are included of statues, tombs, temples and personal items, all related to queens. New discoveries are also included, such as the statue of Queen Tiye found in the temple of Mut and now in the Egyptian Museum in Cairo, and the recently identified mummy of Hatshepsut. Many objects from museums are included and these come from all the major Egyptology collections around the world. This book really is a visual delight. The close-up images of jewellery and well known pieces of sculpture, such as the famous head of Nefertiti, now in Berlin, show the objects in detail and with a clarity rarely seen. The photos., all taken in the most ideal light, reveal the objects (often with multiple views) so that more can be seen in the photos., than if one were standing in front of the actual objects. This is definitely a book to add to your collection, but be warned: it is over fourteen inches tall, so you will need a substantial bookcase in which to house this and other Whitestar volumes. Published by Whitestar Publishers, 2008. ISBN 978 885440 3345. Hardback, price £35. 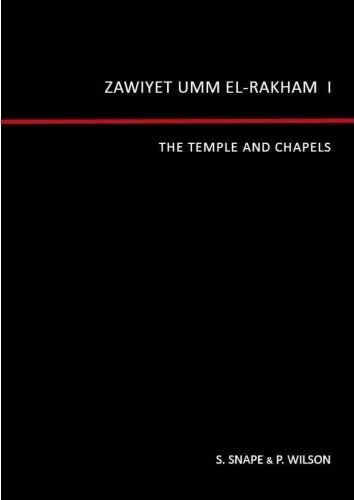 This is the first in what will be a series of publications on the work of the Liverpool University mission to Zaiwat Umm el Rakham. Work began at the site, on the Mediterranean coast to the west of the Nile Delta, in 1994 and has revealed an important Ramesside fortress town. The site had been excavated before and the presence of ancient remains on the site was well known from visible remains of stone buildings, but the work undertaken by the Liverpool Mission had revealed much more information about the site, which lies almost on the western boundary of Egypt, and how it was used. Archaeology is often a destructive process and publications like this are essential. They ensure that as much of the information obtained as possible is recorded, publicised and made available to Egyptologists and enthusiasts today, but most importantly to those who will follow in the future. Perhaps a book for the enthusiast and as a work of reference, this is, however, a very readable and informative publication, demonstrating well the hard work, care and attention to detail needed in excavations and how the evidence can be pieced together to tell an interesting story. Published by the Rutherford Press, 2008. ISBN 978 0 9547622 4 7. Paperback, price £25. 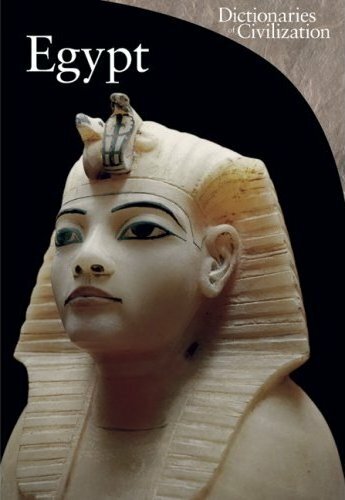 This scholarly book, aimed primarily at the serious student or expert, presents a new approach to analysing the image of ancient Egyptian kings and gods. Rather than using the usual iconography and depictions of crowns on the walls of temples and tombs, the author uses textual evidence, focusing on mentions of the kings’ White and Red Crowns. She shows that these crowns possess a wide-ranging symbolism and are not simply emblematic of the two lands of Upper and Lower Egypt, but also encompass the divine, the cosmos, death and rebirth. She shows that in funerary texts dating to the Old and Middle Kingdoms (2300-1700 BC), crowns play an essential part in the deceased king’s ascent to the sky and transfiguration after his death, enabling him to assume the form and powers of a celestial god. Crowns also express attributes such as the legitimate rule of gods or of the deceased, and are metaphors for cosmic events. They are even personified as goddesses and take on the roles of the deceased’s mothers and nurses. The book discusses mentions of the White, Red, and Double Crowns in the Pyramid and Coffin Texts, as well as other selected examples. A major section reinterprets the famous ‘Cannibal Spell’ as a description of sunrise. Published by The Griffith Institute, Oxford, 2008. Don’t be put off this book by the very poor image (a view of Abydos) on the cover, for this is a well written and informative book. The author looks in some detail at social stratification in ancient Egypt in the Middle Kingdom. 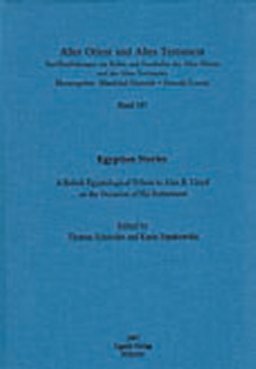 For years many Egyptologists have argued for the emergence of a middle class in society at this time and the author, by looking at the entire range of mortuary practices, rather than just at the élite burials, shows how the social and political structure of society can be reconstructed. 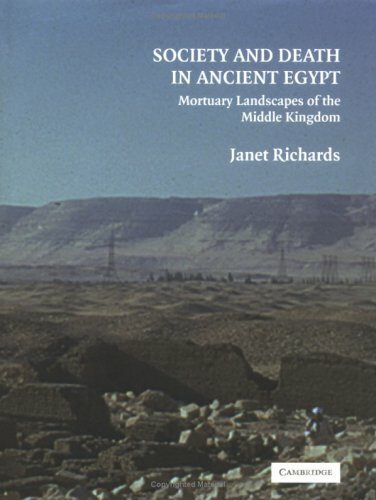 Cemeteries at Haraga, Riqqa and Abydos are studied, as well as the landscape of mortuary behaviour in more general terms. Textual as well as archaeological evidence is also examined. The author demonstrates that the roots of Middle Kingdom society can be found in the late Old Kingdom and First Intermediate Period. Middle Kingdom evidence suggests a reaction to the rise of a middle class through aspects such as literature, royal iconography, private land ownership, the distribution of goods and materials, and greater opportunities for social and economic mobility between the classes. One of the most interesting of the many cemeteries is the one at Abydos, which was the largest provincial burialplace in the Middle Kingdom, but was also the place where the early Dynastic kings were buried. The last chapter details the history of the site, the excavations made there over the last century and the tombs, from the early Dynastic Period onwards, found there. The influence of ancient Egypt on Western cultures is now well known and documented, although most of the attention is focussed upon the last two hundred years, following the Western exploration of Egypt. 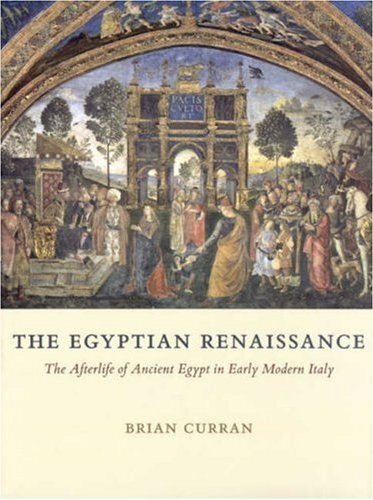 As the author here well demonstrates, ancient Egypt had deep roots in the Italian Renaissance. Whilst the Renaissance generated a huge interest in classical art and literature, it also extended to other cultures. Ancient Egyptian objects had found their way to Italy during the Roman Period and many were re-discovered in the Renaissance. Obelisks, sphinxes and other Egyptian forms entered the repertoire of Renaissance art and it is interesting when looking at Renaissance artistic works to spot the Egyptian connections. This was a time when the first serious attempts were made to decipher hieroglyphs and when popes, princes and other influential individuals erected pyramids and other Egyptianising monuments to show their own status and authority. This book will be of interest to Renaissance scholars, but also to anyone who is interested to learn about the artistic and architectural legacy of ancient Egypt. Published by The University of Chicago Press, 2007. ISBN 0 226 12893 8. Hardback, price £28.50.